A service has been developed for organizing and holding contests, competitions, Olympiads, surveys of any thematic focus and conducting expert examinations. 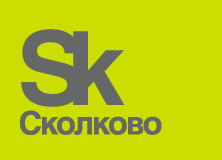 The service is implemented in the Skolkovo Foundation for the Russian Startup Tour 2014 and StartupVillage 2015 competitions and in the Foundation for Assistance to Small Innovative Enterprises in the scientific and technical sphere for the comprehensive selection of the program “Umnik” and other clients. Modern scientific and technological innovation complex for the development and commercialization of new technologies. Details The complex provides special economic conditions for companies working in priority sectors of Russia's economic modernization: telecommunications and space, biomedical technology, energy efficiency, information technology, and nuclear technologies. One of the most important elements of the complex's activities is international cooperation. Among the partners of the project are research centers, universities, as well as large international corporations. 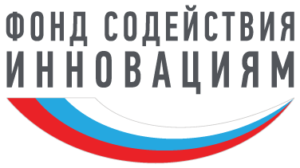 State non-profit organization with the support of the Government of the Russian Federation. Details The fund provides financial support to young innovators and small businesses that are engaged in high-tech development with the potential of commercialization. The main activities of the fund are involving young people in innovative activities, supporting start-ups, promoting business expansion and developing high-tech sectors of the economy, and attracting extra-budgetary investment in the sphere of small innovative entrepreneurship.